Every one has a story to tell, you just have to be brave enough to tell it. Find that bravery inside yourself and keep reminding yourself to tell your story with this beautiful script cuff. 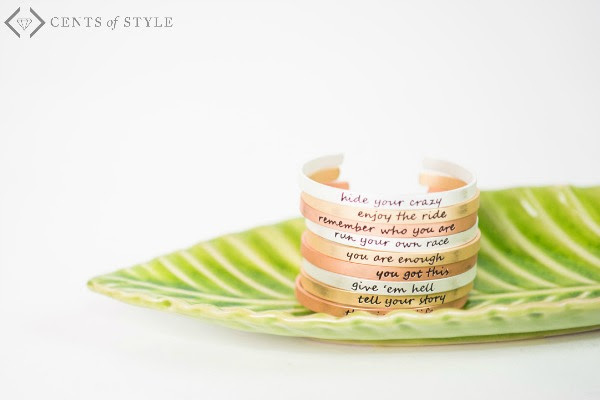 Wear this cuff alone or stacked with other script bracelets that will help you tell your story.